March in North Carolina is a time when the weather may drop, but basketball season is reaching an all-time high. 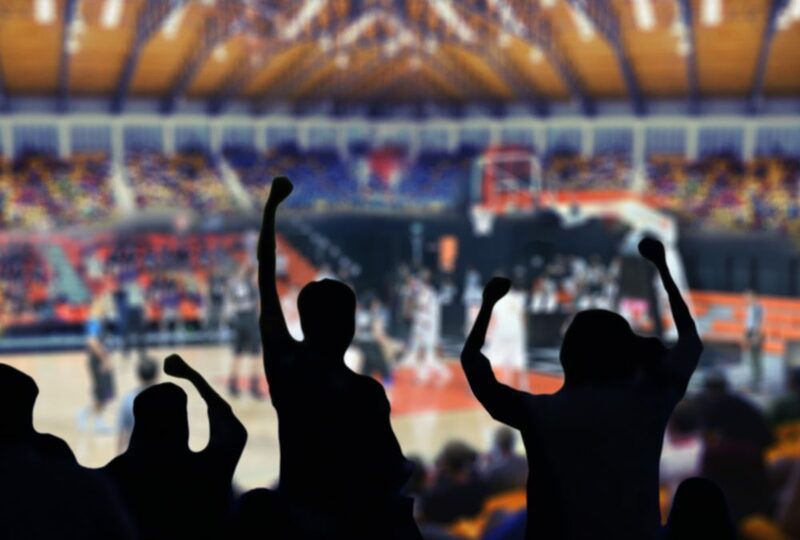 The Madness is upon us on Tobacco Road, and whether you’re a die-hard fan or a basketball bystander, it’s pretty much guaranteed you will find yourself in front of an intense game of basketball in the next few weeks. Just because you’re camped out in front of the TV with all of your team’s gear on, it doesn’t mean you should have any guilt about skipping the gym. These short workouts can be just as intense as your commitment to the tournament and, more importantly, won’t block the TV. Tip-Off: Your team is about to lunge for the ball, here’s your chance to do the same. Ten lunges with each leg. Be sure to keep your knees aligned with your ankles and your eyes on the game. TV Timeouts: Who are you kidding, you’ve seen all these commercials; why not plank, strengthen that core and avoid a few minutes of monotony. Your Team Calls a Time Out: Get down in that huddle with your team and perform a wall sit for the duration of the timeout. You never know when you’re going get called off the bench, might as well keep those legs prime. Fouls: Here’s your chance to flop. Get on your back and do bicycle kicks until all free-throws have bricked or gone in the basket. 3-Pointer: Every time the ball hits the net from behind that line, you’ve got three squats. Make sure your knees are aligned and your hips go down below your knees. Halftime: Let’s get real, halftime is for your team to rest and you to do some work. Get up, quit the nail-biting and go for a walk. While you’re walking, try this breathing tip: in through your nose for four counts, hold for one to two seconds, then gently blow the air out. A few minutes of this can help lower your stress levels to prepare for the second half. Block: A good block can be just as satisfying, and just as important as a great bucket. Your team’s out there fighting the burn so you can do the same. Ten side steps in each direction. Remember to keep low, keep your knees parallel and pretend like you know what to do with your hands. Dunk: It’s a momentum changer that’s bound to get the stadium on their feet. It’s only natural this next exercise should get you on your feet too. For every dunk, three either celebratory or angry burpees. Remember to keep your feet shoulder-width apart, the weight in your heels and jump like it’s tip-off. Game Over: Look at the score, tomorrow your goal is to do something physical for as many minutes as points your team scored. The Madness is upon us. It’s time to lace up your tennis shoes and get moving!